Announcement: U.S. District Court of New Mexico Judge William P. Johnson ordered U.S. Marshals to arrest Walter Dill, the owner of ASAP Auto Glass & Detailing, July 15, for contempt of court. Dill, the subject of an investigation by the department’s Wage and Hour Division, was ordered by the court to provide employee, volume of sales, and payroll records, but failed to do so. On April 7, Judge Johnson granted the U.S. Secretary of Labor’s petition to enforce a Wage and Hour Division subpoena for records. Dill did not comply and was found in contempt of that order on May 29. Judge Johnson nevertheless gave Dill one final opportunity to provide the requested information. Although Dill came to the July 15 hearing with some documents, the department determined that too much information was still missing and that Dill was not in substantial compliance with either the subpoena or the court’s order. Because Dill was first served the subpoena on June 14, 2014 — over a year earlier — Judge Johnson dismissed Dill’s request for more time and ordered his immediate arrest, pending production of the remaining documents. Information: For more information about federal wage laws, or to file a complaint, call the Wage and Hour Division’s toll-free helpline at 866-4US-WAGE (487-9243) or its Albuquerque District Office at505-248-6100. Information also is available at http://www.dol.gov/whd/. Furniture retailer also did not report recent injury as required by OSHAARCADIA, Wis. — A 56-year-old employee of furniture manufacturer Ashley Furniture Industries Inc. had his right ring finger amputated because the company has continued to ignore safety requirements to protect workers from moving machine parts. The company also failed to report the injury to the U.S. Department of Labor’s Occupational Safety and Health Administration, as required. After an OSHA inspection, the agency issued citations to the Arcadia-based company on July 21. 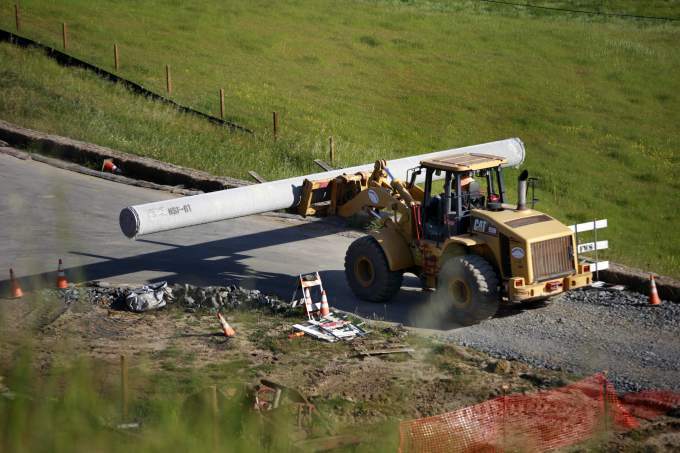 The company was issued two willful violations for failing to protect workers from machinery operating parts and neglecting to report a hospitalization within 24 hours. OSHA cited two other-than-serious safety violations for failing to keep accurate injury records. Placed in the Severe Violator Enforcement Program earlier this year, Ashley faces proposed penalties of $83,200 as a result of the agency’s investigation of the March 11 injury. 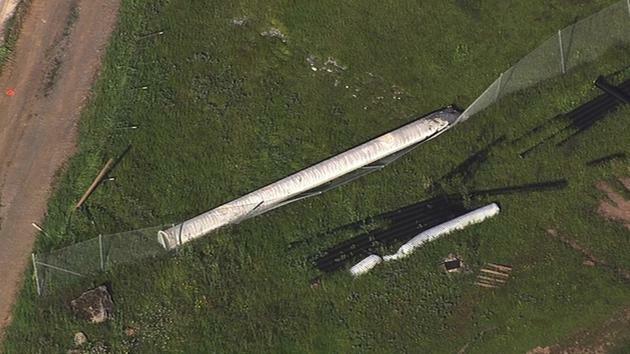 A person outside the company reported the injury to OSHA nearly a month after the incident. Inspectors found the groover blade of a machine used to fabricate wooden drawers caused the amputation of the machine operator’s finger. A 49-year-old employee had a similar injury on the same type of machinery in January 2015, resulting in the willful violation. “Workers at Ashley Furniture cannot count on their company to do what’s right when it comes to safety. These workers are at risk because this company is intentionally and willfully disregarding OSHA standards and requirements,” said Mark Hysell, OSHA’s area director in Eau Claire. In its inspections, OSHA found that Ashley failed to protect workers from dangerous machine operating parts when employees performed maintenance and during blade changes on woodworking machinery. Safety procedures require employers to prevent machines from unintentional operation during service and maintenance by using blocking and locking devices to prevent unexpected machine movement, a procedure known as lockout/tagout. This violation is among OSHA’s most frequently cited and often results in death or permanent disability. Ashley Furniture has contested citations issued by OSHA in January 2015, which cited the company for 38 safety violations at the Arcadia location. Proposed penalties total $1,766,000. A hearing before the Occupational Safety and Health Review Commission will be scheduled. 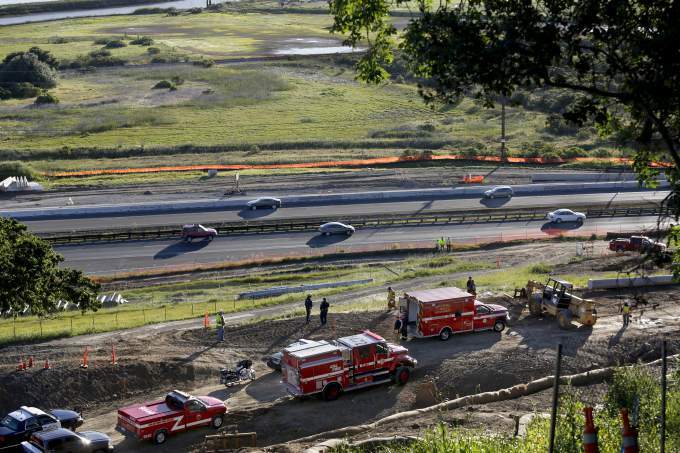 The agency issued the citations following an investigation that found that workers at the Arcadia plant had experienced more than 1,000 work-related injuries in the previous three-and-a-half-year period. At that time, OSHA placed the company in the SVEP for failure to address safety hazards. As a result of the SVEP designation, inspections are currently open at Ashley’s facilities in California, Pennsylvania, Mississippi and North Carolina. Forbes lists Ashley Furniture as the 117th largest private company in America with $3.85 billion in annual revenue as of October 2014. The worldwide distributor employs about 20,000 workers at 30 locations nationwide. The Arcadia plant is the largest employer in Trempealeau County. The company has had 34 federal OSHA inspections and 23 state plan inspections since 1982. In its 33 previous inspections, OSHA issued citations for 96 serious, four repeated and 38 other-than-serious violations. Four inspections were initiated as a result of finger amputations, including one in 2014 at the Arcadia plant. To ask questions, obtain compliance assistance, file a complaint, or report amputations, eye loss, workplace hospitalizations, fatalities or situations posing imminent danger to workers, the public should call OSHA’s toll-free hotline at 800-321-OSHA (6742) or the agency’s Eau Claire Area Office at 715-832-9019. WASHINGTON — Now well into its fourth year, one of the worst droughts in California in more than a century continues to cause economic insecurity for many families in the region, particularly in the agriculture sector. A recent University of California Davis study estimates 18,000 people lost jobs because of drought. These losses leave working families struggling to make ends meet, and today the Department of Labor is announcing up to $18 million in National Dislocated Worker Grant (formerly referred to as National Emergency Grants) funding to the state of California to provide jobs for workers dislocated by the drought, with $3 million released initially. This NDWG will employ up to 1,000 workers for up to six months with public and nonprofit agencies working to remove dead foliage to prevent potential fires and mudslides, and renovating and repairing public facilities damaged by the sustained drought. Made possible by the Workforce Innovation and Opportunity Act, the grant will focus on the areas facing the most severe impacts in California. 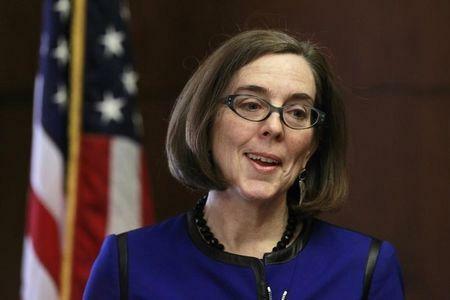 Other states that have received a drought emergency declaration and can document drought-impacted job losses will have the option to apply for similar dislocated worker grants. The program will also support youth in drought-impacted households as well as the long-term unemployed. California’s Employment Development Department will deploy the project funds through the Northern Rural Training and Employment Consortium and through La Cooperativa Campesina de California. NoRTEC — a local Workforce Development Board in the far northern part of the State — and La Cooperativa — a statewide convener of farm worker programs throughout California — will work directly with regional partners and project work sites to assist impacted workers. As President Obama said on a visit to Fresno, Calif., last year, “California is our biggest economy, California is our biggest agricultural producer, so what happens here matters to every working American, right down to the cost of food that you put on your table.” That’s why the administration has announced new actions and investments of more than $110 million — of which this NDWG is part — to support workers, farmers and rural communities suffering from drought and to combat wildfires. This builds on the more than $190 million that agencies across the federal government have invested to support drought-stricken communities so far this year. National Dislocated Worker Grants are part of the secretary of labor’s discretionary fund. The department awards the grant based on a state’s ability to meet specific guidelines. The debate over classification of workers as employees versus independent contractors has yet another chapter. Last month, it was the California Labor Commissioner who sent ripples across the rideshare industry by telling Uber Technologies, Inc. that its drivers are employees, not independent contractors. This month, the United States Department of Labor decided it was time to throw its hat in the ring and weigh in on the matter by way of a fifteen page Administrator’s Interpretation issued by Dr. David Weil. (vi) the degree of control exercised or retained by the employer. The correct classification of workers matters both for workers and employers alike. A worker’s classification affects entitlement to legal protections such as overtime pay and minimum wage, amongst other protections under the Act. This DOL interpretation comes only two weeks after the DOL unveiled its proposed rule that is anticipated to result in approximately 5 million currently exempt workers shifting classification to non-exempt workers, thereby becoming entitled to minimum wage and overtime protection under the FLSA. New York City has adopted an ordinance restricting when employer inquiries about applicants’ criminal histories may be made during the application process and imposing significant obligations on employers who intend to take action based on such information. The Fair Chance Act ordinance will become effective on October 27, 2015, 120 days after Mayor Bill de Blasio signed the bill on June 29. Similar to other ban-the-box laws, the ordinance generally prohibits an employer with at least four employees from making an inquiry about an applicant’s pending arrest or criminal conviction record until after a conditional offer of employment has been extended. Limited exceptions are provided. Under the ordinance’s definition of inquiry, employers are prohibited not only from asking an applicant prohibited questions — verbally or in writing — but also are prohibited from searching publicly available sources to obtain information about an applicant’s criminal history. The main exception applies when an employer, under applicable federal, state, or local law, is required to conduct criminal background checks for employment purposes or to bar employment in a particular position based on criminal history. Other exceptions remove prospective police officers, peace officers, and law enforcement agency and other law-enforcement-related employees from coverage. Therefore, these are unlikely to affect positions and employers in the private sector. Allow the applicant at least three business days to respond to the written analysis by holding the position open during this time. Of course, for employers who conduct background checks through consumer reporting agencies, if such information is obtained from a background check, the above process must be integrated with the Fair Credit Reporting Act (FCRA) pre-adverse action requirements. mandating paid sick leave for nearly all workers and establishing a first-of-its kind state-run retirement program for private sector employees. Los Angeles—A Superior Court judge last week sided with the Labor Commissioner’s Office in finding that a Los Angeles trucking company misclassified an employee as an independent contractor. The court affirmed that Laca Express Inc. owes driver Ho Woo Lee $179,390 in back wages and expenses unlawfully deducted from his paycheck. “The Labor Commissioner determines the employment status of an individual based on the facts of each case,” said Christine Baker, Director of the Department of Industrial Relations (DIR.) “This decision shows the laws are in place to ensure that workers are properly classified.” The Division of Labor Standards Enforcement, also called the Labor Commissioner’s Office, is a division of DIR. In his December 2012 claim filed with the Los Angeles Labor Commissioner’s office, Lee said Laca Express unlawfully deducted $83,292 from his paycheck in violation of Labor Code section 221. Lee’s claim included more than $80,000 in weekly lease and insurance payments that were deducted from his paycheck for a truck that Laca repossessed after terminating Lee’s employment. The Labor Commissioner’s Office issued an Order, Decision or Award (ODA) in Lee’s favor for $161,205. Laca appealed the ODA, and the Labor Commissioner’s Office represented Lee in the Los Angeles Superior Court case. Judge Ross Klein determined that Lee was owed $179,390 plus costs and attorney’s fees for unlawfully deducted wages, reimbursable expenses (such as fuel and truck repair costs), interest and penalties. Los Angeles—California Labor Commissioner Julie A. Su this week cited Paramount-based El Super grocery store chain for multiple wage theft violations, with assessments and penalties totaling $180,668. The chain of 43 markets is owned and operated by Bodega Latin, Inc., with 15 locations in Los Angeles. 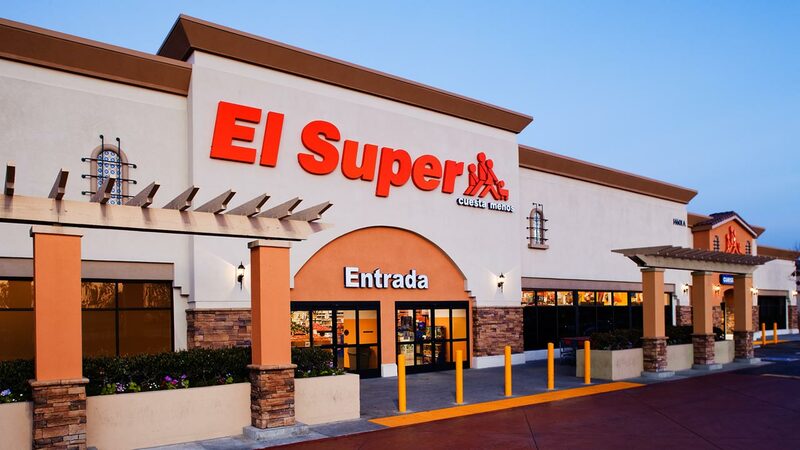 The investigation revealed that El Super denied rest and meal periods, and failed to pay overtime wages for 20 workers at 10 of El Super’s Los Angeles markets. “California labor laws are clear regarding rest periods and overtime requirements. Employees must be compensated for the hours they work and the benefits they earn,” said Christine Baker, Director of the Department of Industrial Relations (DIR). The Labor Commissioner’s Office is a division of DIR. Investigators gathered evidence using payroll records audits and worker interviews. The evidence indicated rest and meal period violations as well as overtime premiums owed between June 17, 2012 and June 6, 2015 for all of the workers interviewed. Some employees worked an average of 55 hours per week but were paid for only 40 hours without overtime. Workers were forced to clock out for meal breaks but ordered to return to work without taking their full meal period. In some cases, workers were not allowed to take rest breaks. Bodega Latin, Inc. was assessed $3,557 in minimum wages and an equal amount in liquidated damages, $44,463 in overtime wages, $93,228 in rest period premiums, $19,903 in meal period premiums, $8,161 in waiting time penalties and $7,800 in rest period penalties. Bodega must also reimburse its staff at the 10 locations $101,084 for illegal uniform deductions documented during the audit. “This citation is an expensive reminder to employers who are depriving workers of their hard-earned wages,” said Labor Commissioner Julie A. Su. Many of the wage violations were documented in off-site interviews with the El Super workers. Employees with work-related questions or complaints may contact DIR’s Call Center in English or Spanish at 844-LABOR-DIR (844-522-6734). The California Workers’ Information line at 866-924-9757 also offers recorded information in English and Spanish on a variety of work-related topics. Members of the press may contact Erika Monterroza or Peter Melton at (510) 286-1161 for additional details.